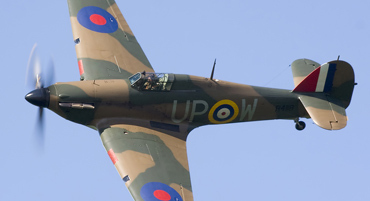 The Hurricane was a development of inter-war Hawker biplanes, and its fundamental structure reflected principles established in the earliest days of powered flight. Chief designer Sir Sydney Camm – 10 years old when the Wright brothers made history in North Carolina – did not believe in welded structures, only mechanically constructed joints. 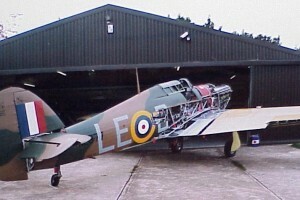 Thus the round tubes that make up the Hurricane’s fuselage structure must be squared off at each joint, of which there are hundreds, each comprising no fewer than 20 and in some cases more than 150 precision components, with an engineering tolerance of less than 0.0005 thousandths of an inch on every bolt hole. In WWII, these components were mass produced, so that they might easily be replaced in service. 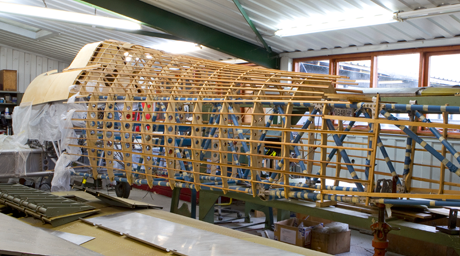 As such ready supplies are no longer available, Hawker Restorations had to develop its own jigs and tooling, tube-squaring equipment and specialist materials. The centre section of the Hurricane is no less complex, consisting of roll-formed, 10-sided front and rear spars with an interference fit overlapping additional 10 sided spars. These are manufactured from a high tensile spring steel, which required Hawker Restorations to source and purchase specialist materials and heat treatment equipment. More than 120 pairs of rolls had to be designed and manufactured, using the last remaining roll-forming machine in England. These are then attached to a shear web which forms the front of the rear spar, and spaced apart by a series of squared tubes. At the end of each spar boom, hand-forged fittings connect the wings to the centre section. The centre section also includes the first retractable monoplane fighter undercarriage, comprising exceedingly complicated snap-locking gear, trunnions and booms. 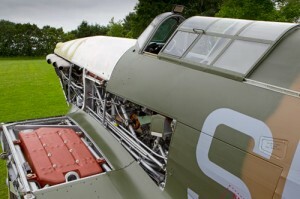 Also integrated into the centre section are two of the Hurricane’s three fuel tanks, with primary structure tubes passing directly through them. The tailplane spars comprise eight-sided, roll-formed, high tensile steel booms with overlapping spars, separated by a series of diagonal roll-formed booms. The basic box structure then has ribs attached to it, producing its distinctive shape. The elevators are manufactured using a steel torque tube with soldered and riveted cleats attaching a series of ribs, which are manufactured from round tubes formed into an aerofoil or P section. The same spar and rib technology is used throughout the tailfin and rudder. Again the manufacture of these components entailed the creation of specialised steel, heat treatment and the use of only roll-forming machine available at the time. The wings include four unique spar shapes, double T extrusions which correspond to the aerofoil section on the front and rear spars. They consist of hundreds of small handmade components and are assembled in a sophisticated jig. 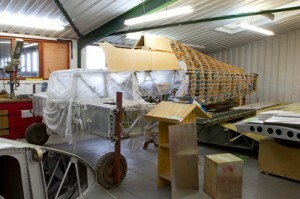 On completion of the basic structure, the wings are skinned and the leading edges and tips attached. Depending on the customer’s requirements, eight original Browning machine guns may be fitted, complete with ammunition boxes, chutes, pneumatics and activation equipment, before the wings are mated to the centre section. 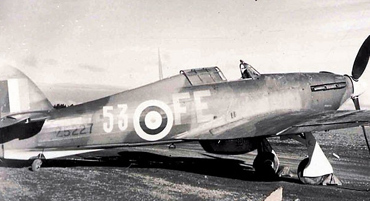 The familiar shape of the Hurricane is produced by a series of wooden formers and individual wooden stringers fitted around the fuselage, including a plywood structure known as the “dog kennel” that houses the pilot, instruments, windscreen and canopy. A similar structure, comprising three removable undertrays, forms the distinctive ventral fin around the tailwheel, which was added to aid spin recovery. The wooden structure is covered with traditional Irish Linen, hand-stitched and finished in nitrocellulose dope. However, there is also an extensive amount of compound-curve wheeling work for the remaining exterior structure of the aircraft, comprising 16 hand-made aluminium-alloy cowlings.